How, in all reasonableness, can media commentators in particular and the hurling public in general demand that a team like Waterford play in an ineffective manner respective to their ability in order that they be entertained? Consider the context that Waterford manager Derek McGrath found himself in: during the 2014 National Hurling League Waterford conceded 13-76 and were relegated. Through gritted teeth McGrath confessed naivety, but unfurled a new approach in time for the 2015 campaign, won the National Hurling League, appeared in the Munster hurling final and guided his side into both finals once more in 2016. Derek McGrath opted not to play by someone else’s rules and did what out-gunned forces have always done – he examined the resources he had at his disposal and went guerrilla. Indeed, McGrath made a significant comment while in conversation with Michael Moynihan for the Irish Examiner during the build-up to the 2015 National Hurling League final: “people shouldn’t be discouraged from thinking differently about the game”. Traditionally there has been a stated opposition to talk of tactics in hurling. Tactics are regarded as inherently negative. A construct of how hurling should be played has been created – the back-to-front man-on-man style carries a moral authority. A great value is placed on conspicuous toil while many assume that winning has to do with having better players who wanted it more. The argument appears to be that a team like Waterford has an obligation to toe the line as a matter of conscience. This platonic ideal is a symptom of the disease commonly known as nostalgia. The reason why so many observers of hurling cannot accept new interpretations of how to approach the game may have been explained by Chuck Klosterman in Eating the Dinosaur. The book includes an essay which seeks to explain the relationship between conservatism and how American football is played. Klosterman comes to the conclusion that pre-conceptions can ruin an individual’s ability to appreciate innovation – fans feel that they understand the game and as a result trick their minds into believing that there is a right way to play it. Dan Gilbert, a psychologist at Harvard University, has completed interesting research into a phenomenon he calls the “end of history illusion” – we imagine that the person we are right now is the person that we will be for the rest of our lives; that at this very moment we have reached the end of our personal history, that we have finally become ourselves and that the world that we live in also marks the end of history. Gilbert argues, however, that individuals need to appreciate that they are, in actual fact, a work in progress. The person you are right now is as fleeting as it has ever been. Similarly hurling is a work in progress which people mistakenly think is a finished product. Is there a right way to play hurling? No. There are no absolutes. One style cannot be said to be more worthy than another. There are two types of hurling coaches – those who look to push the limits and those who are determined to work within them. All across the hurling world you will find coaches who are determined to work within the limits of the game – the approach of these men is derivative of what has gone before. Indeed, you will often find these individuals playing up to an anti-intellectual bias when bemoaning tactics. Many of such coaches would prefer to lose in a traditional and socially acceptable way rather than try to win in a non-traditional manner. Those, however, who declare that they do not do tactics are fooling themselves. It is a choice not to make a choice. Such a declaration does not mean that the coach in question chooses nothing. No. It means that they have opted to adopt random luck as strategy. Dónal Óg Cusack explained the issue better than most in December 2015 when he wrote the following for GAA.ie: “the hurling mind-set, for a long time, has been dominated by the idea that there are no tactics, but if you have teams of fifteen players each and goalposts at either end of the pitch everything afterwards is tactical”. There have always been tactics – for a long time coaches have realised that a lack of ability can be overcome with some thought. Just read what Tommy Maher – as reported by Enda McEvoy in his magnificent book The Godfather of Modern Hurling: The Fr Tommy Maher Story (2012) – had to say about the issue: “surely there had to be room for thought, for logic, for imagination, for the cultivation of science, for the identification of problems, for the improvement of weaknesses and the coaching of skills”. 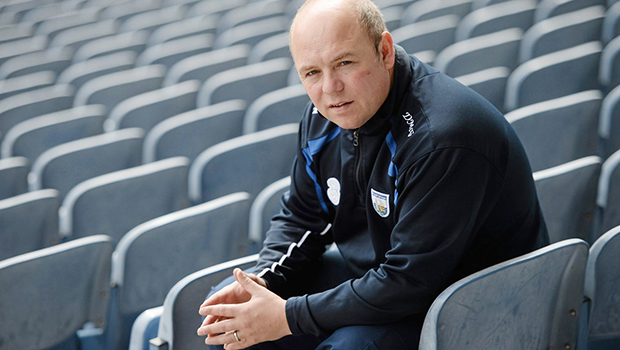 Management teams led by individuals like Derek McGrath work to explore the limits of the game – underneath the veneer of this man beats the heart of an insurgent; at every turn McGrath seeks to challenge the conventions of the game. Such innovators do not allow themselves to become prisoners of tradition. They understand that there is no right way to do something. To unlock potential you have to abandon fixed ideas about how, for example, a player should look, a performance should look or how a game should be played. Michael Lewis’ seminal book on sabremetrics – Moneyball: The Art of Winning an Unfair Game – contains an important message which correlates with every sphere of life – Moneyball is a great example of challenging contemporary philosophy in order to create a new dynamic; no matter what you do or what you are involved in to be successful you need to challenge imagination deficits; reinvention is key to the new frontier and a metaphor for a life lived well. The next time you find yourself complaining about the style of hurling you see before you just ask yourself a simple question: what are you afraid of? Are you afraid that the game will become less entertaining? But what if the game of hurling is not supposed to be entertaining in the first place? What if entertainment is not the game’s primary focus, but, instead, a by-product of what it is really about? The entertainment helps to fund the core objective, but there is a greater goal at stake than mere entertainment: sport is a tool used by a community to develop people. The entertainment is not an end in itself. No. Entertainment is a by-product of the struggle for victory. Therefore to argue that hurling has a duty to entertain misinterprets the game’s core purpose. The end is not the most important part of the journey. It is about the attrition involved. The beauty of the game, or in realising any dream, can be found in the struggle; the journey travelled is the thing. Nobody comes down from the mountain the same person who went up. The climb is worth it. It’s not really about the winning; it’s about the person you become when you go through the process of winning or even just trying to win. Derek McGrath is nourished by the dream that every single person is just one caring coach away from becoming a success story. Just look at the people that he is developing. Derek McGrath is nurturing a group of humble players who are committed to representing their place to the very best of their ability and who respond to every challenge with a searing collective effort. When you criticise Waterford’s style of play ask yourself why? Would you not like to see your team work hard? Would you not like your team to defend their goal properly? Would you not like your players to pass the ball to a teammate? Out of possession under Derek McGrath every player on the team is a defender and in possession of the ball every player on the team is an attacker. Why would you not admire a team like Waterford? If you are bored by this style of hurling then you are bored by strategy, concentration, skill, mental aptitude, mutual sacrifice and raw grit. Here is a short video which contrasts the Waterford style of approach play with the style adopted by Cork in the 2015 National Hurling League final – which team would you prefer to be involved with? Hurling is not a game of possession, it is a game of constantly managing turnovers in possession; manage those turnovers and you win. The turnover is the most informative performance-related statistic in the game. That assertion has important implications for how we think about hurling and it is the key to understanding Waterford’s approach. Just think about it. When a team has possession of the ball they are organised and the opponent is organised – each player knows, more or less, what they are supposed to be doing. But in transition the opposition are not organised in a defensive sense. That’s the moment when you can do most damage and this is where Waterford are at their most devastating. Imagine: the opposition is actually in most danger when they have possession of the ball. Gianni Brera once described the catenaccio (door bolt) defensive system as the “right of the weak” – if you are afraid of the opposition you work to stop your opponent playing altogether. But to label the Waterford system as “the right of the weak” is to misinterpret the intention of the style. Derek McGrath wants to play an attacking style, but knows that to do so you must control your opponent. Waterford do not defend in such a structured way because they fear the opposition or wish to keep the score down. No. Waterford defend properly because they want to attack more. The genius of the Waterford system is how the Déise then work to build a bridge between how it intends to defend and how it intends to attack. Waterford work from a solid defensive base, but they have also developed a plan to unleash their hard-running support game inside the opposition half via short to medium range passing. It is pragmatic to make a good pass, not a bad one. The view that the best players simply go out and win a hurling contest is a bleak one; that every game is won based on an aggregate of talent. Instead, the beauty of hurling is that it allows for a smart strategist to compensate for his players’ limitations. The point of tactics is to multiply the abilities of the players and not just add them up. A system will help players, not hinder them. A sturdy tactical structure will give players something to lean on. There is always room for creativity and expression, but you need to marry those elements to structured play. The individual and the system work together – they bleed together. And, a collective commitment to a team effort is the foundation on which the glorious is built. Hurling is a weak link game – the weaker players have a bigger impact on a performance than that of your stronger individuals; it is the performance of your pass students which will propel your team through the examination. Strong links don’t win matches; weak links lose them. Improving a team’s worst player is actually the most effective way to win more matches. If you attempt to hide a weak link in your team you are simply reducing that individual to a fan with a particularly good view of the action, but within a carefully-designed strategy weak links can be protected, improved and helped to realise their potential. On the pages of the Irish Examiner in August 2015 Dónal Óg Cusack wrote: “The old certainties are gone and the game isn’t recognisable from ten years ago. The fad back then was for a mountainous half-back line facing down the field to another mountainous half-back line. Tactics were about how to get the ball over the opposing mountain range. In a way, it’s disappointing the tactical evolvement of Gaelic football has not yet extended itself beyond these worn-out maxims. The blaming of individual players on the losing side and the crediting of other players on the victorious side is far easier. It’s simpler to digest. The system which won the battle is given far less credit. But it’s the system that allows a team’s strengths to be accentuated and weaknesses to be protected”. Hurling is instinctive, but that doesn’t mean that it can’t be poured into bottles. There is room on the field for thought and strategy. Human kind has figured out more complex things than hurling. Talent is all well and good, but in the end you have to organise it. A fevered dream is not enough – you need a strategy. Good managers wrap their system and game plan around the players at their disposal. The system then works to pool the desire and ability of the playing group. Recently Brian Cody’s Kilkenny were accused of being a “functional” team – you could not pay him a greater compliment. Cody demands that his team has a solid structure; Kilkenny have an ambition to defend well, to attack well and to become the complete unit. Ball winners are game winners. The team which owns the ball, owns the game. You have to dominate the terms and conditions of the contest. Sound structure is vital. Nobody would argue that tactics guarantee success. Tactics are just one weapon that a manager can deploy to gain an advantage. The main thing is, of course, still the main thing – strategy and tactics are meaningless unless the players are motivated to realise them. The players are the tactics and the tactics are the players – to paraphrase Argentinian poet Jorge Luis Borges hurling is “fire plus algebra”. But it is more than a feeling. Remember what Alex Ferguson once argued: “sticking by your beliefs is only admirable so long as those beliefs are relevant”. If you want to succeed you must challenge the way your team is coached, how your players play and how everyone associated with your team thinks. Do not allow yourself to get stuck in a way of thinking. Do not be the guy who believes more in talent than in strategy. Do not make the mistake of misunderstanding the importance of strategy. Being the smartest team is still the best way to win. A fool with a plan is better than a genius with none. Remember what Christy Ring said all those years ago: “let no one say the best hurlers belong to the past. They are with us now. And, better yet to come”. Enjoy this era, do not fear it. Change is good. In 2006 Christy O’Connor wrote a sensational article for the Sunday Times entitled ‘Modern stars stand tall among legends’ – here O’Connor argued that hurling’s biggest myth was that the greatest modern forwards did not compare with the revered legends of the past. The piece is well worth your time.